Unfortunately, if past experience in Iran is any guide, the Obama administration will align itself with the jihadist oppressors, rather than their anti-Islamist opponents. It will try to thwart any congressional effort to restrict further engagement with the Morsi regime, for example by cutting off or conditioning foreign aid and military sales. During the so-called “Arab Spring,” the Obama administration insisted that the United States risked being on the “wrong side of history” if it remained aligned with secular despots like Egypt’s Hosni Mubarak. 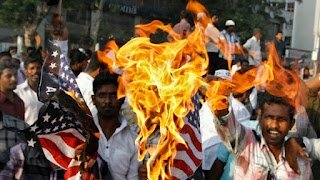 Recent events have made clear that there is a wrong side for freedom in the Mideast all right and, thanks to Team Obama’s embrace of the Muslim Brotherhood, we’re on it. Take, for example, the cease-fire between Israel and the Brotherhood’s Palestinian franchise – the designated terrorist organization, Hamas. Mohamed Morsi, the man the Muslim Brotherhood selected to replace Mubarak as president of Egypt, brokered the deal and has been lionized for doing so. But, far from representing a real contribution to peace, this hudna (truce) is a coup for the Islamists. It blocked Israel from launching ground operations aimed at cleaning out terrorist strongholds, weapons caches and infrastructure in Gaza. Pursuant to the cease-fire’s terms, the Jewish State is even supposed to refrain from continuing to target Hamas leadership figures from the air. Yet, the Morsi-brokered cease-fire imposes no impediment to the jihadists in the Gaza Strip rearming for the next round of attacks on Israel. And the deal creates the expectation that the only practical bar to such rearmament – namely, the Israeli blockade of Gaza – will be eased. 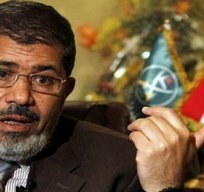 The over-the-top endorsements of Brother Morsi may also have encouraged him to announce immediately thereafter sweeping political changes in Egypt that suggest he is not interested in a functioning liberal democracy in his own country any more than he wants a durable peace with Israel. Team Obama claims to have been “dismayed” by this second Morsi coup – in this case, effectively a coup d’etat – in Cairo. Yet, it should not have been surprised. Mr. Obama has, after all, been engaging and emboldening the Muslim Brotherhood from early on in his presidency. This was one purpose of his much-ballyhooed June 2009 visit to Egypt, in which he insisted that its representatives be allowed to attend the first Obama “outreach to the Muslim world” speech. 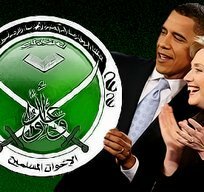 Moreover, in the months since the Muslim Brotherhood engineered Mubarak’s overthrow with almost-immediate and strong support from the U.S. administration, that jihadist organization has worked assiduously to control all of the reins of government in Egypt and to make shariah the law of the land. The problem for Team Obama is that Egyptians who did not intend to have a secular tyrant replaced by an Islamist one are beginning to find their voice. It is far too early to say whether the fractious Egyptian opposition that has just begun to coalesce under the banner of the National Salvation Front will be able to pose a real challenge to the Muslim Brotherhood and other Salafists. With luck, they will do so, starting with large public demonstrations this week that could make possible a systematic roll-back of the Islamists and their efforts to dictate Egypt’s future. Unfortunately, if past experience in Iran is any guide, the Obama administration will align itself with the jihadist oppressors, rather than their anti-Islamist opponents. It will try to thwart any congressional effort to restrict further engagement with the Morsi regime, for example by cutting off or conditioning foreign aid and military sales. Team Obama will probably also try to protect the Egyptian Brotherhood’s bids for additional financial assistance through billions of dollars worth of international loans and debt-relief. The question occurs – and must be insistently asked in congressional hearings into the Benghazigate scandal and the larger failed practice of embracing Islamists of which it is a symptom: To what extent are individuals with ties to the Muslim Brotherhood who are working in or serving as advisors to the Obama administration contributing to these clearly counterproductive national security policies? Five Members of Congress – Republican Representatives Michele Bachmann, Louie Gohmert, Trent Franks, Lynn Westmoreland and Tom Rooney – presciently raised this concern last June, and were roundly criticized for doing so (including by some in their own party). They appear to have been vindicated in their warnings that such influence operations are putting us on the wrong side of history. We cannot afford to remain there, to the benefit of our enemies and their jihadist agenda. Frank Gaffney, Jr. is the Founder and President of the Center for Security Policy in Washington, D.C. The Center is a not-for-profit, non-partisan educational corporation established in 1988. Under Mr. Gaffney’s leadership, the Center has been nationally and internationally recognized as a resource for timely, informed and penetrating analyses of foreign and defense policy matters.